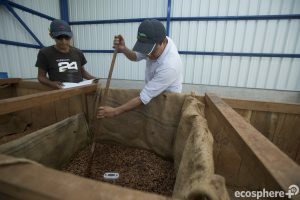 In 2017, at the Tambopata-Bahuaja Biodiversity Reserve project in Peru, the first phase of the construction of the cocoa processing facility was completed. The building of this facility is a critical milestone for the project and one of the key mechanisms for addressing the drivers of deforestation in the region. Located in the ‘buffer zone’ around the national reserve, the facility is run by the members of the farmers’ cooperative. The 195 current members bring their cocoa beans here to be fermented and dried, both of which are critical stages for developing flavour, and to consolidate the supply. By the end of the project in 2021, the aim is to be working with 400 farmers through the cooperative. The facility is an important example of the development of sustainable livelihoods in action. Using the facility to manage volumes and quality control results in a higher value for the product, and better access for farmers to international market with fewer intermediaries. 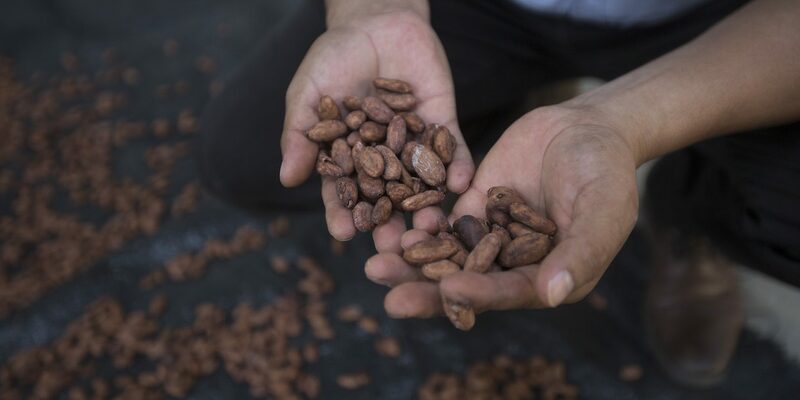 The result is that these committed farmers can rely on cocoa production to generate income, rather than increasing farming of other crops which degrade the land and cause deforestation. Also farmers in the cooperative will get extra income by giving post-harvest services to other cocoa producers in the region. 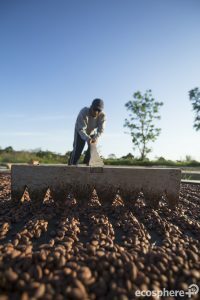 The completion of the processing facility was timed to coincide with the first cocoa harvest from the project in summer of 2017. 2017 also marked 1 million cocoa trees planted in the project! 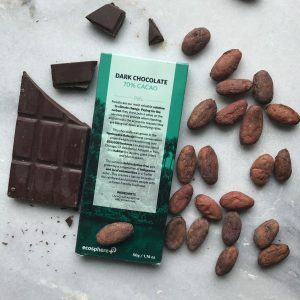 And with the first harvest of cocoa, came the first bars of Tambopata deforestation-free, conservation chocolate. After tasting those chocolates we can say that making a difference never tasted so good!